The clank and grinding of gears jarred Teric from his unexpected slumber. Jasen and Kore were also awakened from the unbearable noise and vibrations from the gate as it began to open. Teric was already on his feet assisting Jasen and then Kore to stand. They walked and climbed between the beams reaching a maintenance deck which they climb onto and off of the retreating gate. As the gateway opened completely, several transport ships began to descend to the base deck below. From their vantage point Teric, Jasen and Kore watched while black cladded troops began to disembark from the three transport ships. The interior of the base was a technological marvel. It was large enough to house a troop division with enough deck space to accommodate a strike group. Teric, Jasen and Kore watched as additional ships descended unloading more and more troops. 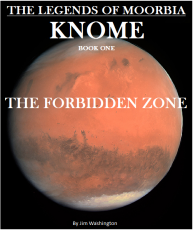 “There is no way this place was constructed by the Knomen’s alone,” Kore proclaimed. “I’m going to agree with you on that,” Jasen replied. “These troops are not Knomen,” Teric stated as he turned monitoring the maintenance deck. “Do you have the mag viewers,” Kore asked. Teric took the viewer from its case hanging from his side and handed them to Kore. Kore focused the viewers on the troops below as they began to assemble in an unrecognized formation. The troops wore a tint shielded helmet which hid there faces, but as an officer emerged from one of the transport ship, Kore focused on the officer’s face. “They’re Myans,” Kore said as he glanced at Teric. He went back to observing the movement of troops, noting their garb, the ships and the structure of the base itself. Several levels up he noted the base’s observation and command center. Dozens of officers occupied the center busily carrying out their duties. “They’re preparing for something,” Jasen added as he looked around. He stuck out his hand toward Kore, gesturing for the mag viewers. Kore handed them to Jasen. As they continued to survey the base, another series of three transport ships descended, unloading their cargo of troops. Anya stood in her robe, her hair dripping water as she peered down at the beautiful silky blue colored dress laid out on her bed. It was beautiful, what there was of it, a cowl neck with thin adjustable straps. She felt embarrassed to wear such a dress in public, and, she was a bit surprised that her father would choose such a dress for her to wear. But she knew why he wanted her to wear it. Any man would surrender to the woman with that dress hanging from her frame. Anya dried her hair, disrobed, and lifted the dress, noticing how light and thin it was. She considered not wearing it at all. But in the end, she decided that it was the perfect dress for making a statement. Anya slipped into the soft thin dress, loving how it felt against her skin. As she adjusted the dress, she observed her reflection, and was shocked. The graceful lines of her petite body, seemed to transfer right through the fabric of the dress. Although she absolutely loved the way it felt and looked on her, she didn’t want anyone else to see her in it. And then she changed her mind, and she wished Wilhelm could see her in it. She fingered the delicate silk fabric as it glistened under the dimmed light from her room, imagining Wilhelm’s hands caressing her waist. She had never worn a dress that revealed so much of her, she pulled up on the low-neck line of the dress, trying to cover her exposed chest. No jewelry was needed with this dress, she, was the jewel. She sat in front of a mirror and put up her hair. Her eyes watered, giving her trouble, as she tried to enhance her facial features. She wanted Wilhelm to see her, she wanted to see him melt for her. She closed her eyes imagining Wilhelm's lips against hers, forcing her mouth to open as he drank from her lips. She touched her fingers to her lips trying desperately to simulate what she desired. She enclosed her lips over her finger, gently pulling her finger into her opened mouth. But it wasn’t enough. She moaned, trembling in her desire for Wilhelm. “I love you Wilhelm,” she cried as she wiped her tears and stood to review her final preparations. She wrapped her arms around her waist and looking down she tried to compose herself, drawing in a deep breath. She reached for her satchel, retrieving the Sakat and the Ikonep bottle. She pulled the blade from its sheath and taking the bottle she sat again before her mirror. She bent the handle revealing a small hole. She laid the blade on her desk and uncapped the bottle. With one hand she lifted the blade and tilting the bottle she poured, watching the deadly liquid slide through the hole on the blade. She stopped pouring when the liquid overflowed over the blade. Using a towel, she wiped the excess and tossed the towel out of sight. She then placed the cap back onto the bottle and snapped the Sakat back into place. Anya took a deep breath observing the Sakat through the mirror. She sat mustering up her courage while suppressing the last spark of hope inside of her. She ran her finger along the blade avoiding the sharp edge. Grasping the blade with both hands she turned the tip of the blade toward her chest. Her tears began to flow as her lips began to quiver. The blade began to shake and she tried to still her hands but was unable. She felt herself losing her nerve, so she inched the blade closer. A small drop of the poison fell from the tip of the blade and onto her chest, but she didn’t notice as the drop descended between her breasts. Anya closed her eyes and took a deep breath and held it as she pushed the tip of the blade into her chest. The blade was so sharp that she hadn’t even notice that the tip of the blade slipped into her chest drawing a stream of blood as it mixed with the cloudy liquid from the blade. Anya kept pushing until she felt a sharp pain in her chest. She quickly opened her eyes and was shock how deeply she had inserted the blade. She pulled out the tip, crying in pain and she threw down the blade. She sat there shocked, watching the blood oozing from her chest, staining that beautiful dress. She had done it. There was no turning back now. Anya stood and walked over to her bed and drawing away the sheets she laid down as the blood poured from her chest onto the bed. She closed her eyes as her tears escaped through them. Wilhelm knew the face but he had never met the man. He had seen him accompanying Anya from time to time. He debated whether he should reveal himself, but he feared the reaction of the guard. “The Lady Anya has requested a priest,” the guard replied. Yutiro was skeptical, he knew Anya was not very religious and that for the most part she avoided anything having to do with religion. Besides if she had any interest, it would be among the KauKau’s. Yutiro stood in front of the priest observing him closely. “Very well, keep a close eye on him,” Yutiro directed to the guard. “I will, sir,” the guard replied. Yutiro stepped to one side as the guard and Wilhelm walked past. Yutiro continued to observe them until they were out of sight. As they continued to walk, turning left, and then turning right, taking stairs to the next floor, Wilhelm had no idea where he was being led, his excitement, was building, as he traveled deeper into the palace. Suddenly he bumped into the guard. The guard had stopped in front of a beautifully decorated entryway with double doors. Wilhelm held his breath as the guard reached out and pressed a button on the threshold. Wilhelm heard nothing, but, he imagined Anya rising at the sound, and walking over to the door. But no one came. The guard reached out a second time and pressed the button. They waited, and waited, for what seemed like forever to Wilhelm. He was finally here, on her planet, in her home, at her door, and, would he miss her? He thought about all he went through to get here, the pain he still felt from the burns, the broken ribs, hyper sickness. Wilhelm wanted to bang on the door. When the guard turned toward him, Wilhelm immediately took out his pad and wrote: PLEASE TRY AGAIN. For the third time, the exasperated guard reached out and pressed the button once more, and they waited. Wilhelm began to hyperventilate, moaning as he did. In response to the Priest's reaction, the guard reached down and placed his hand on his weapon. Just then, the door of Anya’s room cracked open. Wilhelm held his breath as the door opened, but from his vantage point he could not see who opened the door. The guard removed his hand from the vicinity of his weapon and stood at attention. The door open just enough for the person inside to see outside while not being seen by those at the entryway. “My lady, so sorry to disturb you,” the guard said apologetically, “I have this visitor who says that you requested his presence. There was silence for a moment as the guard waited for a response. Wilhelm could not hear the reply, but whatever she said it prompted the guard to repeat his statement. “I have this visitor who says that you requested his presence,” he repeated. Wilhelm could see the door open wider and the most beautiful face he had ever seen, protruded out and turned to look at him. Wilhelm nearly fainted on seeing her. His eyes began to flood over, blurring his sight. “I think your mistaken,” Anya replied stuttering. In her words Wilhelm sensed that something was wrong. She barely got out the words and she sounded so weak. Wilhelm stepped up out of concern causing the guard to push him back. “Sorry to disturb you, my lady,” the guard said while grabbing onto Wilhelm as he again tried to step up. The door started to close. Wilhelm pulled out his pad and chalk and wrote: GIVE HER THE RING. The guard began to search his person for the ring that was removed from the Priest's finger. Wilhelm watch nervously until the guard found it. 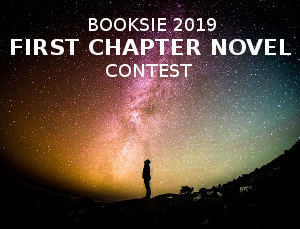 There was silence for a longer period of time and then the door opened wider as a weakened Anya, stepped out covered in a sheet, nearly stumbling over it. “Where did you get this,” Anya insisted, “Where did you get this? Wilhelm erased the text on his pad, glancing at the guard, then he wrote: ANYA, LET ME IN. He showed it only to her. Anya took Wilhelm’s arm and pulled him, but she was not strong enough to budge him. “Thank you,” she said dismissively to the guard. The guard promptly left. “Come,” Anya asked her eyes wide and wild. Wilhelm walked in the door. Anya immediately closed the door engaging the lock. Wilhelm began to take off the robe, he threw it to one side. His eyes were full of tears as he looked into the face he thought he would never see again. Anya nearly fell to the ground, but Wilhelm caught her, his arm holding her up. His name in her voice was too much for him, he held her close and when he felt her standing under her own power, he took his hands and caressed her face, finding her lips, he kissed her deeply. Anya returned his kiss, calling out his name, muffled by their kisses. Wilhelm held her waist, pulling her into him, kissing her, tasting her tears. Then, suddenly, she went limp. Wilhelm held her as she completely lost consciousness. He picked her up in the sheet and carried her to her bed. That’s when he saw the blood on her bed. He laid her on the bed, noticing her bloody dress. He saw the puncture wound in her chest that was still oozing blood. He walked over to her vanity desk to look for a towel. Finding one he started to go back to her but then, he noticed the dagger with its tip covered in blood. Yuri’s chest tightened with anxiety, fueling his restlessness as he could not stay in one place for long. He sat for a few minutes grumbling, and then he stood for a few minutes rambling on regarding a host of worries. Mura and Korah were exhausted trying to follow Yuri’s movements and thoughts. “Please papa, sit down,” Korah pleaded, her brow furrowed in concern for her father’s mental state. “Please Yuri you’re tiring me out,” Mura cried clearly irked by Yuri’s volatile disposition. Neither Mura nor Korah had an effect on Yuri’s agitated state. He continued to rise and sit spouting his frustrations over anything that came to his mind, particularly, he had been complaining about his eldest daughter. He still wasn't sure what Anya was going to do and her delay was stoking his anxiety. He feared that she was going to do something to foul his plans, to embarrass him, to make him look like a weak leader who could not even control his family. Every second without word from Anya made his fears certain. “Please check again,” Yuri demanded. “She should be here now,” Yuri screamed, his eyes wide with anger. Mura and Korah glanced at one another, sharing in the sense of helplessness and frustration they both felt. “I’m worried about her, something is wrong,” Yuri pined. “She will be here,” Muri replied, trying to sound convincing for Yuri’s sake, but, she too was concerned. There was a disconnect between Anya and her family, and she didn’t know how to breach it. An alert sounded in Yuri’s cabin, startling them all. Yuri rose irritated over the interruption and stormed toward the entryway, opening the door. The Myan Ambassador stood at the entrance of Yuri’s cabin, not hiding his annoyance, he didn’t want to be there. Etian’s presence, only furthered acerbated Yuri’s irritation as he recalled the tragedy at Udin. “Mr. Ambassador, what can I do for you,” Yuri asked listlessly. The ambassador did not hesitate, he turned and left straightaway without any formalities. Yuri stood for a moment at the opened door pondering the complications the Ambassador’s request introduced. There was still no word from Anya and he realized that they had to leave. He banged on the threshold and closed the door. Yuri paused for a moment trying to control his emotions. He walked over to his daughter. “Korah, I need you to go and retrieve your sister,” Yuri directed. “The Ambassador said that we can’t wait,” Korah protested. Korah was displeased, but she realized it was no use to protest. She stood, taking a deep breath. She had another reason to despise her sister. Korah walked to the door ready to comply with her father’s wishes, she opened the door. “Korah, take her shuttle and meet us at Thaingor, do it quickly,” Yuri commanded. “Yes father,” Korah replied as she walked back to kiss her mother and then she hugged Yuri and departed. Wilhelm, despite his distress and hysteria, managed to stop the bleeding from Anya’s wound. He had ripped off a portion of her bed sheet, making strips which he used to make a bandage. Using a longer strip from the sheet, he tied wrapped around her chest to tie the bandage in place. Glancing from time to time at Anya’s blood-stained bed he was horrified by the amount of blood she had lost. Though she was pale naturally, she looked unusually pale and he wondered if she was going to die. In all the time that he had worked on her, she did not regain consciousness. Wilhelm felt disoriented and mystified observing the lifeless body of his Anya. He felt utterly helpless as he massaged her hands, arms and legs, trying to bring warmth back into her body. He fought desperately not to fall apart, not to give in to his despair, to give up on Anya. He lifted her hand noticing its coldness and he groaned inwardly, convulsing at the thought of losing her. He called her name repeatedly, lifting her head, shaking her, caressing her face, but nothing worked. Everything he tried had no positive affect upon her. Wilhelm rose desperate, wanting to do something, but not knowing what to do. He decided to get help. He rose, left her bedroom and walked down the hall to her reception room. As he started to disengage the lock, he heard a cough, and froze. Hearing it again, he immediately began to run back to Anya’s bedroom. He found her sitting up and coughing upon entering her room. He fell uncontrollably to his knees in a burst of emotion at the sight of her. He let out a scream and began crying. Anya lifted her head in response to Wilhelm’s call. She was in such a fog that she did not recognize him, although she recognized his voice, she imagined she was dreaming. She touched the bandage in response to the throbbing pain she felt. “Anya,” Wilhelm called again, this time he walked to the side of her bed and knelt down before her, wrapping his arms around her waist, laying his head upon her lap. Anya buried her fingers in his thick black hair. “Wilhelm,” she asked, still bewildered, unsure if she was dreaming or if she was dead. But his hair felt real, the heat of his face and the wetness of his tears upon her naked thighs felt real. His arms around her, thrilled her. She tightened her fingers in his hair and lifted his head. His misty eyes met hers, and she was in ecstasy. “Wilhelm, please, tell me I’m not dreaming, please,” she pleaded. “You're not dreaming, I’m not dreaming,” Wilhelm cried. He rose sitting next to her upon her bed and embraced her. She returned his embrace as he fell upon her. He kissed her forehead, her eyelids, her nose, her cheek, all the while Anya struggled against him to find his lips. Finally, he gave her what she wanted. He kissed her mouth, parting her lips, feeling the heat of her opened mouth, tasting her essence. She groaned as he kissed her with growing uncontrolled passion, then, suddenly, he stopped as Anya cried out not in pleasure, but in pain. Wilhelm quickly rose realizing that the weight of him was too much for her due to her wound. “Anya, I’m sorry,” he said as he sat up, lifting her up also. Anya lay her hand upon her wound clearly in pain. Wilhelm felt shame over the pain he caused to her. He stood on his feet apologizing repeatedly. “I’m so sorry, Anya, please forgive me. I’m so sorry that I hurt you,” he rambled, “I’m sorry I betrayed you, I failed, but I will make it up to you I promise,” he pleaded. As Anya listened and realized that he was speaking about something more than her injury. She looked at him, comprehending that he had traveled from Akadia to Knome, just to be with her. She started to cry and walked to him. Ignoring her pain, she embraced him, burying her head in his chest. Wilhelm held her tightly, his hands exploring her body, finding comfort in every curve and shape as she moaned with delight. “I love you, Anya,” he confessed, as he wrestled with his rising passions as he was desperate to possess her. Anya kissed him, interrupting his confession. An alert sounded throughout her chamber, startling them both and severing their embrace. “Someone’s here,” Anya sighed as she looked around her room, noting her bloody bed and the Sakat still on her desk. With the sudden draining of her euphoria, she realized that she wasn’t dead. She struggled trying to understand her situation, touching the bandage on her chest. Anya felt light headed as she started to walk out of her bedroom as the alert sounded for the second time. “What should I do,” Wilhelm asked, his body tensing. Wilhelm looked around the room searching for his robe just in case he needed to continue to mask his identity. But he couldn’t find it, and then he remembered. “Anya, my robe is in your reception room, I need it,” Wilhelm called out to her. “Your what,” she asked puzzled. Anya vaguely had a sense of seeing a priest. “OK,” she said, still unsure as she left the room. Anya walked down the hall to the reception room, determined to dismiss whomever was at her door. She stopped short of opening the door and took a step toward the door monitor. Her sister appeared on the monitor with two palace guards standing behind her. She tilted her head debating whether to open the door or not. The alert sounded again, and she began to look around her reception room spotting the robe that Wilhelm spoke about. She grabbed the robe and ran back to her bedroom, handing the robe to Wilhelm and then she ran back to her entry way. She paused for a moment to catch her breath, and then she opened the door. Korah’s shocked expression made Anya realize that she still had on the bloody dress. She rolled her eyes at her own failure to change her clothing. She stepped back to allow her sister to enter. “Anya, what happened to you,” Korah asked as she entered, waving her hand to direct the guards to stay outside in the hall. “I had an accident, I’m afraid I ruined the dress,” she stumbled over her excuse. “Are you sure you're OK, that doesn’t look good. What did you do,” Korah asked. “I am better,” Anya replied ignoring her sister’s second question. Anya and Korah left the reception room and entered her lounge. “Anya, I was told that you had a visitor, a Talian Priest, is that true,” Korah inquired. “Yes, I did,” Anya replied trying to answer without arousing further inquiries. “Did he harm you,” Korah questioned, still uncertain of the situation, especially after noting her sister’s short jerky movements, lack of eye contact and her quick glances down her hallway. Before Anya could answer, their attention was diverted by a noise down her hallway. Anya paused not knowing how to answer, unsure what excuses to make. She just babbled incoherently. “Anya, what’s going on.” Korah went back to the doorway and opened the door, waving for the guards to enter. The guards entered taking position behind Korah, as they began to walk down the hall towards Anya’s bedroom. Anya tried unsuccessfully to get in front of the guards and her sister, to prevent their advancement. Korah called for one of the guards to hold Anya. The guard hesitated for a moment and gently held Anya. As Korah and the guards entered Anya’s bedroom, the first guard quickly drew his weapon and moved against Wilhelm who had barely managed put on his robes. The second guard drew his weapon also after releasing Anya. “Stop,” Anya cried, “Leave him alone,” She ran in front of the guard standing between them and Wilhelm. “Stop, I invited him here, leave him alone,” she cried out. Korah was horrified by what she saw in Anya’s bedroom. The blood on her bed and drops of blood that led to her vanity desk. Korah saw the Sakat, and then she turned toward Anya, her eyes narrowing as she considered the situation. “Anya what is going on here,” Korah asked. Despite Anya’s protests, the guards kept their weapons on the priest. They began to move in closer to him as he backed away. “Tell them to stand down,” Anya ordered her sister. Ignoring her, Korah walked over to the desk and picked up the Sakat. “What are you doing with this,” Korah asked. “Anya...” Korah began to ask again but stopped. It was beginning to make sense to her. Anya observed the change in her sister’s face as Korah began to figure out what happened. Anya relaxed, relieved that she no longer had to invent excuses. She sighed. “Isn’t that what you wanted,” Anya charged. Korah did not reply to Anya’s accusation, instead she turned toward the desk and, finding Ikonep bottle she picked it up. “You are really pathetic. You can’t even kill yourself,” Korah scoffed. “Wilhelm was disgusted by the utter lack of sympathy from Korah, from her own sister, he put his hand on Anya’s shoulder. Korah smirked, “No, it’s just a display. Do you really think father would keep a bottle of poison around his children?” Korah laughed. Anya touched the wound on her chest. Tears filled her eyes at the utter contempt she felt from Korah. She felt miserable at her failure, but then she felt both of Wilhelm’s hands on her shoulder and it stopped her spiral towards despair. Anya paused looking toward Wilhelm, trying to devise a plan. “OK, give me a minute, Anya asked. Korah started to leave but stop when the priest did not move. She turned toward Anya pointing to the priest. “I want him to stay,” Anya said. “What?” Korah asked as she eyed the priest suspiciously. “Anya, this is so inappropriate." Korah paused for a moment glancing between Anya and the priest, and then she turned and left the room, hearing the door shut behind her. This page was created in 0.4123 seconds.